Inaugurating the live fish retail outlet which was allotted by the State Govt to the apex body of fishery cooperatives Fishcopfed at Patna, last week Awadesh Kumar Singh Minister of fisheries in Bihar congratulated the apex body for opening a modern live fish retail outlet in the heart of the city. Happy that the outlet will provide quality fish to citizens of the state at a reasonable rate the Minister a urged FISHCOPFED to launch mobile fish shop vans in the state as well. Through live fish retail outlets consumers in general will get live fish species especially with outlets opening in different areas of the city. Consumers will be able to get fish at wholesale rate, said Singh. The fishery Department of Bihar has allotted a space for a pond near the outlet. The minister assured of launching Aam Admi Bima Yojana for fisher community through FISHCOPFED and considering fish crop insurance, Minister said in his brief speech. Fishcopfed Managing Director B.K.Mishra thanked the Minister for allotting Fish Retail Outlet. He also thanked member organization COPFED for doing a praiseworthy work in Patna. Mishra also demanded two more ponds for Fishcopfed so that more fish could be stored. 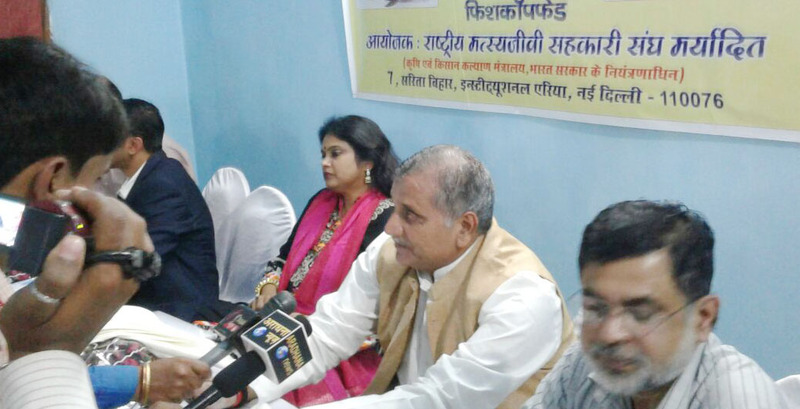 Copfed Chairman Rishikesh Kashyap said the Government of Bihar has signed an MoU with Fishcopfed. 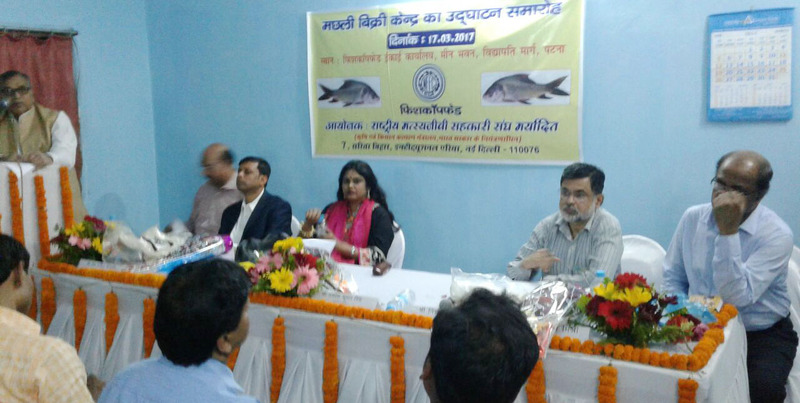 Now the people of Patna can buy live fish and enjoy angling fish- which means catching fish alive from the ponds while buying. 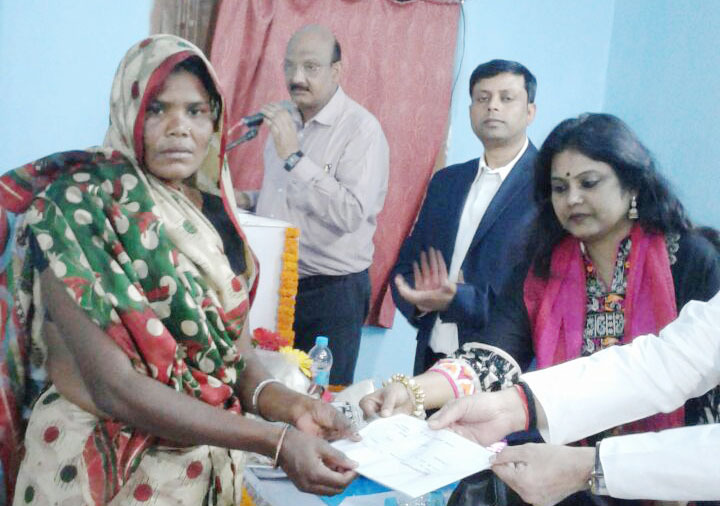 On the occasion, the Minister also disbursed two cheques of Rs one lakh each as payment of insurance claim to the beneficiaries. Readers would note that Fishcopfed has retails shops in several states including Assam, Chhattisgarh, Delhi, and has a series of aqua shops with the support of the concerned state govts.